How to lose weight fast naturally using superfoods? Weight loss is one of the major concerns of the people these days. Everyone wants a slim and fit body to look more attractive. Many a times to lose weight, people start skipping meals, eliminating the food groups and do crash dieting. After so much sacrifice, what results they get is really not satisfactory. So, we are here with a big answer of how to lose weight fast naturally? The answer is simple– by eating and taking a weight loss challenge. Yes, you heard it right! Food increases weight. This is one of the most common myths of people when we talk about health and fitness. The reality is food can actually help you in losing those extra pouches of fats in your body. The so-called slimming Superfoods are natural nutritional powerhouses that helping in bone building, prevent chronic disease, helps in improving eyesight and makes the mind sharp. 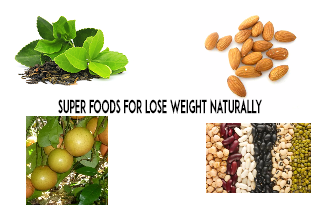 New evidences also suggest that these Superfoods are really helpful in giving shape to the weight loss motivation plans. 1- Green tea: Green tea is a powerful drink that contains catechins that is an antioxidant which is quite helpful in reducing storage of belly fat and aids rapid weight loss. 2- Almonds: Almond works just like a natural weight-loss pills that are delicious to eat and helps in decreasing your extra pounds of weight effectively. 3- Grapefruit: Just like racer do body stretching before the big run, eating grapefruit before having a meal is really helpful in boosting the body fat-burning performance. 4- Legumes: In a four week Spanish study, it was found that eating calorie restricted diet containing four weekly serving of legume is the right way of how to lose weight naturally.